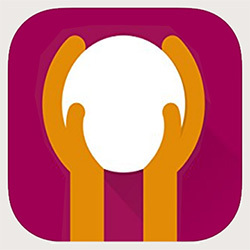 This app is for carers of people with dementia. Developed by Health Education England's Thames Valley team in partnership with the University of Reading and in collaboration with healthcare professionals and carers, it offers practical information to support users' understanding of the progressive nature of dementia and the challenges of caring for someone with the condition. It is divided into six sections containing information that carers may need to consider, including day-to-day living, legal and money, symptoms and behaviours and medical definitions. As a guide for carers and care providers, older people's nurses can use the app with carers whose loved ones have dementia to encourage better understanding of living well with the condition.